"It's unimaginable that we're so young," one says. Some students at Marjory Stoneman Douglas High School say their emotional and physical wounds remain raw a month after a shooting spree left 17 dead on their campus. "I can't believe it's been one month. It just ... it seems like it was just yesterday," 14-year-old freshman Brooke Harrison told ABC News’ "Nightline" in an interview to be aired tonight. 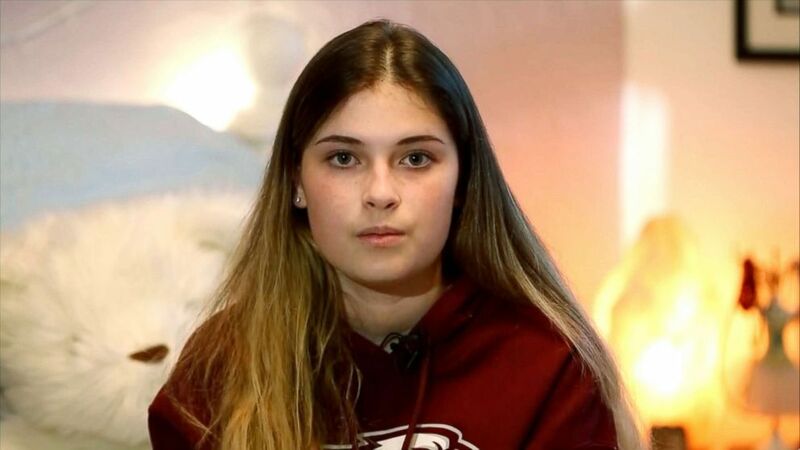 She said the horror of witnessing three classmates -- including close friend Alaina Petty, 14 -- getting gunned down in front of her remains at the forefront of her mind and that just the rattle of a doorknob can prompt flashbacks of the gunman firing into her classroom. (ABC News) Brooke Harrison speaks to "Nightline" about the mass shooting at Marjory Stoneman Douglas High School in Fla.
She said she and her classmates were in the first classroom the gunman targeted. "We were the warning shot for everyone else. But we didn't get a warning shot," Brooke said. Brooke said she and her classmates share an experience that once seemed unfathomable in Parkland, Florida, one that even adults in their 80s haven't endured. "We're 14 through 18 and we're experiencing it. It's just ... it's unimaginable that we're so young; we've gone through this traumatic experience,” she said. “So, I think any response, anyway anyone wants to handle it, is perfectly normal and they should be taking everything at their own pace." Brooke and her Stoneman Douglas classmates walked out of class at 10 a.m. today and congregated on the school football field for 17 minutes of silence to remember those killed in the Feb. 14 massacre. They were not alone, as thousands of students across the nation and the world joined them in similar events at their schools. (ABC News) Dylan Kraemer speaks to "Nightline" about the mass shooting at Marjory Stoneman Douglas High School in Fla.
"As a Douglas student, I feel like if people from different countries, different continents are showing their support, that it would just be wrong if people from Douglas didn't," Brooke said. Parents also flocked to the Parkland school, many yelling, "We're with you" and chanting "MSD" as the students walked onto the football field, some wearing Marjory Stoneman Douglas T-shirts. "I'm walking out for Alaina," Brooke said. "I'm walking out so that no one has to see their friend die in front of them. I'm walking out so that no one has to see what I saw." Gloria DeJesus, whose son, Francisco, attends the school, said she was compelled to be on hand for the walkout to support the students. "It's been very emotional for all of us and it's part of our healing," she told ABC News. Stoneman Douglas student Colton Haab said it was inspiring to see so many of his classmates and students around the globe participating in the walkout. 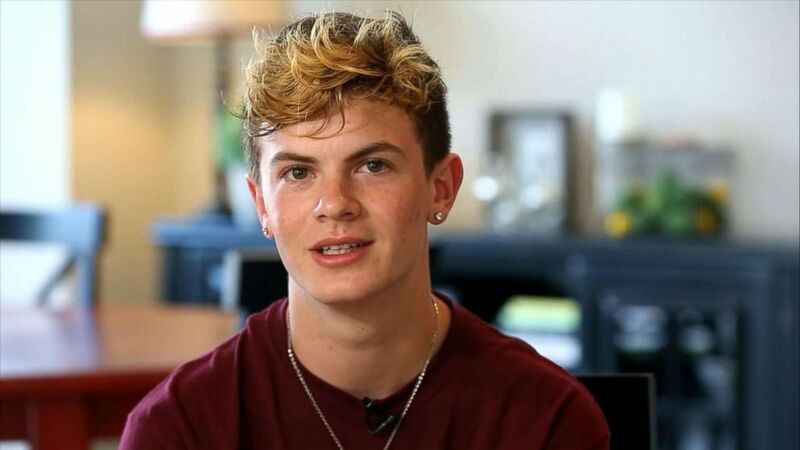 "I believe that almost every single student who attends my school is out on the football field right now," Colton told ABC News. "I hope that we can definitely make schools safer, that we can make gun laws more strict. I just hope we can make a difference and, hopefully, this will be our last school shooting." Following the moment of silence, a song titled "The Shine" written by a survivor of the Parkland shooting that includes the lyrics "You're not gonna knock us down, we'll get back up again," was played for the students on a loudspeaker. The students then went to the middle of the football field and had a massive group hug. Many of the Parkland students left the football field and walked to a nearby park to continue honoring those killed at a memorial erected there and to show each other support. Danielle Dayes, a 16-year-old junior at the school, told ABC News the student-organized walkout and others involving tens of thousands of students coast to coast, was inspiring. "There hasn't really been a lot of events where we all came together, where we all said we're going to do this," Danielle said. Holding a sign reading, "We will Not Stop," Meiling Hoshing, a 17-year old junior, told ABC News, "We're not going to stop fighting. We're not going to shut up ... because it's something that is a problem, there's something that needs to be addressed." While the classroom walkout was only scheduled to last 17 minutes, planned demonstrations around the country continued long after. In the 28 days since former Stoneman Douglas student Nikolas Cruz allegedly went on a rampage with an AR-15 assault rifle, the world has changed for the students and nation. The students led the charge to get lawmakers to put new restrictions on guns and convinced President Donald Trump to explore a similar course of action. Prosecutors Tuesday said they will seek the death penalty against Cruz, 19. But even the ultimate punishment for the suspect will likely not make the memories that student Dylan Kraemer has of the shooting any less palpable. "I heard gunshots. It was the first thing -- in the hallway. It was really loud and echoed," Dylan recalled in an interview with "Nightline." He was in room 1214 of the freshman building when the gunman stormed the hallways, shooting people at random and firing indiscriminately through the rectangular windows of locked classroom doors. "And then I saw the shooter through the little window in the door ... I was looking to the side, then I could see him point his gun at me and shoot into my classroom and then I saw two of my friends die and three others get shot... I was thinking that I was going to die, pretty much." Since the shooting, Brooke said, she keeps thinking of the classmate who was shot multiple times and how she crawled from under her desk across broken glass to apply pressure to his wounds and keep him calm. He survived. 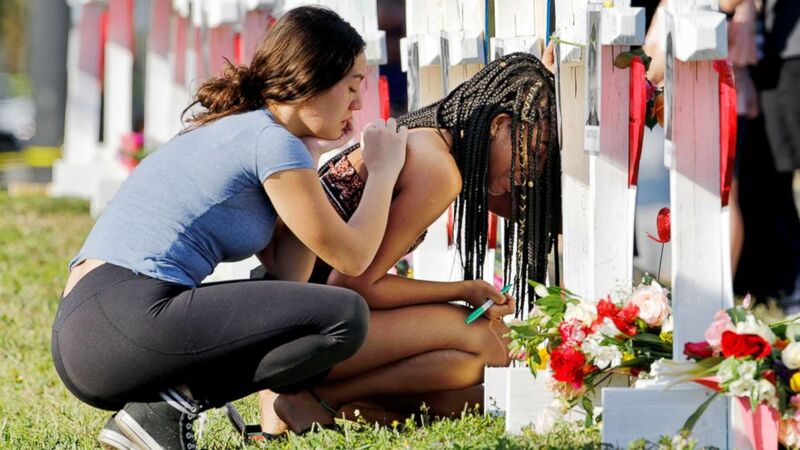 (Jonathan Drake/Reuters) A senior at Marjory Stoneman Douglas High School weeps in front of a cross and Star of David for shooting victim Meadow Pollack while a fellow classmate consoles her at a memorial by the school in Parkland, Fla., Feb. 18, 2018. "I remember seeing him in such agonizing pain," she said, adding that the cries and screams of the classmates around her at that terrifying moment continue to echo in her head. While more police have been placed at her school to guard students, Brooke lamented, "I think, personally, I'm never going to feel 100 percent safe." The FBI took the blood-spattered shoes and sweater she wore the day of the shooting, she said, but she still has her backpack, now with a bullet hole in it. "I couldn't believe how lucky I was, that my backpack took a bullet and, thank God, I didn't," she said. "Now, that's going to be forever with me, and that's forever going to be a memory that happened." Broward County Public Schools Superintendent Robert Runcie scoffed at critics who have said the student movement isn't truly "organic," that the students behind it are paid actors and that school officials helped organize today's walkout. "It can't get more organic than this," Runcie said at an afternoon news conference. "I will tell you that the district has played no role in organizing any activities for our students." He went on, "This is a movement that's been organized by students who are concerned about what they see as a generation that has failed to put things in place to make sure that they're safe, that they have an opportunity to have a great future. I applaud them for that. I certainly don't encourage any student to be out of school. Being in school is the right place for you to be. But you do have moments like this where they want to exercise their rights. I think as long as we can connect it to the learning process, it can be a positive day that we're having."